Currently, F&H Construction is looking to hire Project Engineers, Project Managers, and Superintendents to fill positions in Hawaii and California. Due to the job market being so competitive F&H is networking with several universities to find great people to hire, educate, and train for our company’s needs. On February 21, 2018 the University of Hawai’i at Mānoa held a career day for the College of Engineering. Over 600 students eagerly anticipating degrees in Mechanical, Electrical, and Civil Engineering attended the event. These students, armed with questions and resumes, filled the auditorium to land their first job after graduating. 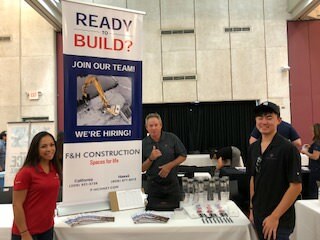 Prospective employers filled the auditorium as well and among the larger construction companies that participated were Goodfellow Bros, Inc., Hawaiian Dredging, NAN Inc, Swinerton, Albert C. Kobayashi, County of Maui, Dorvin Leis, Hawthorne (CAT), and the US Armed Services. 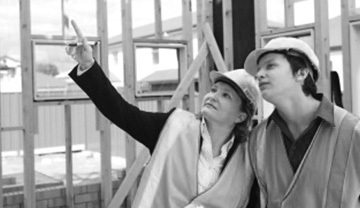 F&H Construction received over 40 resumes and conducted mini interviews on site. It was a very fun and productive day. If you are interested in working for a fast paced company and being a part of a great team, please contact our Human Resource Department at sthomas@f-hconst.com for more information.